We have paintings and more! Not everything we have in stock is online, custom is our specialty, so if there is something you want made- don't hesitate to contact us at amberjoyful@ajoysenterprise.com or fill out the contact form below! If you are international, contact me first before purchase so I can calculate shipping... when you e-mail please include your address. Thank you!! Our latest custom design. 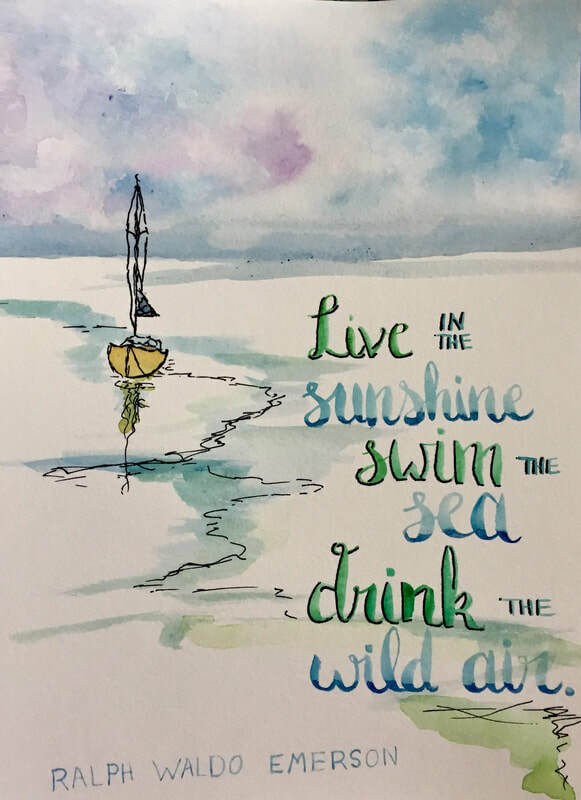 Carrie picked this quote and wanted a beach/sea sort of theme... Voila!